Thank you for reading me. 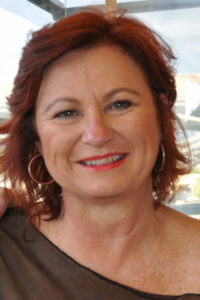 My name is Debbie (Deb) and I live in Johannesburg, South Africa with my husband Steve. We have 2 sons, Liam and Cameron and a daughter in law Stefanie. So many of my childhood memories are about long, noisy, happy family meals and gatherings. I can still see and smell the different dishes prepared for each occasion by everyone. My mom, step mom and both my grannies were all amazing cooks. It was way back then in their kitchens, that the seed to my journey was planted. At 21, I became an international air hostess, spending 17 years seeing the world. Upon landing in any country my free time was dedicated to quenching my craving to know all about food. My priority always included eating local food, both in restaurants and on the streets. My exposure to so many diverse cultures fueled the hunger as my love of food grew from one experience to the next. Along came my children and not wanting to fly full time, I decided to convert my love of food into a career, and flew only part time. So began my catering career. With my passion for food as my only guide, instead of merely easing into this arduous industry, I jumped head first into a function for 170 people!!! Crazy, but a great learning curve. From this point I began catering for large and small functions, weddings, dinner parties and corporate functions. A highlight of my career was the privilege of catering a dinner where the late Nelson Mandela was the guest of honour. My longest and biggest catering contract was for 700 people per day, 7 days a week, 365 days a year. As if this was not enough, at the same time I bought a coffee shop! Again my passion for food led me to a very busy situation. Being surrounded with a family of food lovers and good cooks, my sister Nizel managed the coffee shop, my mom the catering business, and I ran ragged between the two. To say life was hectic would be an understatement! After a few years of this hectic life, my family and I decided some balance was needed. I sold the coffee shop, scaled down on the catering and pondered where my next dreams for my future lay. Although my life was busy, I now realise that it readied me for my next big decision and food journey in my life. Given the opportunity I could have a dinner party every night, however I would run out of friends to invite long before my love of entertaining and cooking for people tired. This means not just formal dinner parties, but casual occasions as well. 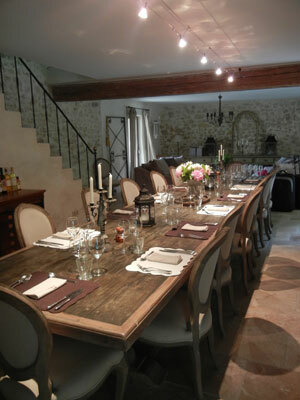 These casual gatherings take place around large platters and bowls of steamy, aromatic food mopped up with homemade bread and washed down with favourite bottles of bubbles, rose, white, red, or whatever colour tells the best story. For me, sitting around a table and sharing any meal with laughter and love, is the complete experience. It’s not just about filling one’s tummy, it’s sharing wonderful food, good wine, great company and all this combined, is real food for the soul!! So if I can’t invite people around for dinner or lunch every day, what better way was there for me of achieving this than starting to teach people to make delicious food for those they love! And so the Bay Tree Cooking School was borne and my new sharing journey had begun. For 16 years the Bay Tree was not only a place of teaching cooking but over time grew to become this happy, fun place, where amazing people met, many of whom became good friends. Each lesson was filled with laughter which was followed by more laughter and stories around the tables where everyone ate. 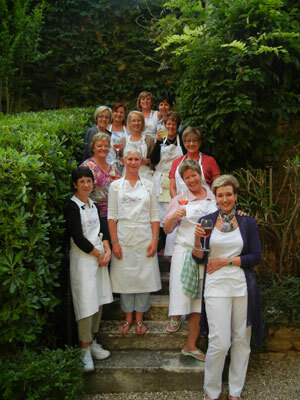 And so the Bay Tree Cooking School grew into a place of sharing and laughter all bought together by my love for food. It should come as no surprise that my love of travel and passion for food would at some point meet. 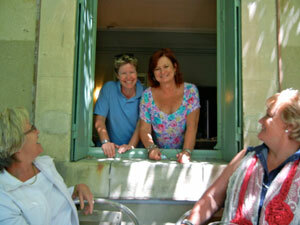 And so my foodie tours began at the Bay Tree Cooking School. Gourmet trips are put together, where people can join me on local and international trips, to experience the food and culture of different places. So much happens on these tours which I love to share. People come as strangers but leave as friends, amidst the fun, laughter and enjoyment of special memories made. After 16 years my journey has again changed. You know the saying “reasons, seasons and lifetimes?” Well, after much reflection, soul searching and deep contemplation, I made the bittersweet decision to close the cooking school. My season was done. I did not take my decision lightly, as my cooking school had been my happy place for 16 years. It started as a dream and grew into what my life has become. I have shed many a tear when reading these emails, as they come from special people who shared my passion and I miss them dearly. So here I am, still sharing, but in a different place. My blog TABLE MEMORIES has been born !!!!!!! I love food and everything to do with food. Where it comes from, how its grown/raised, sourced and then lovingly cooked and plated. As passionate as I am about food, so I am about travel, and the combination goes so well together. I will still be doing my food tours both locally and overseas. Overseas, one learns the culture of the people through their food. Locally, we have a growing food culture that is exciting, and which I love to share. My happiest moments are those sitting around a table where ever I am, with those I love or getting to know, as it’s not just about eating or the food, it’s about the setting, sharing and making memories, amidst stories and laughter! I hope you’ll subscribe to my blog to get updates as I post them. Be it recipes, stories, travel or life. And don’t forget to make memories around your table!